Next Batch: Due on the 10/05/2019. Delivery to customers within 10 working days of the 10th. Fashionable two tone with a warm ivory frame and solid oak cappings. 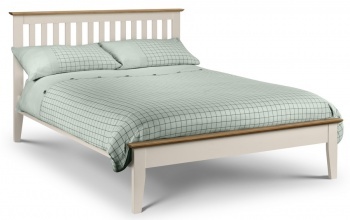 Elegant feel with tapered legs and a slatted headboard. 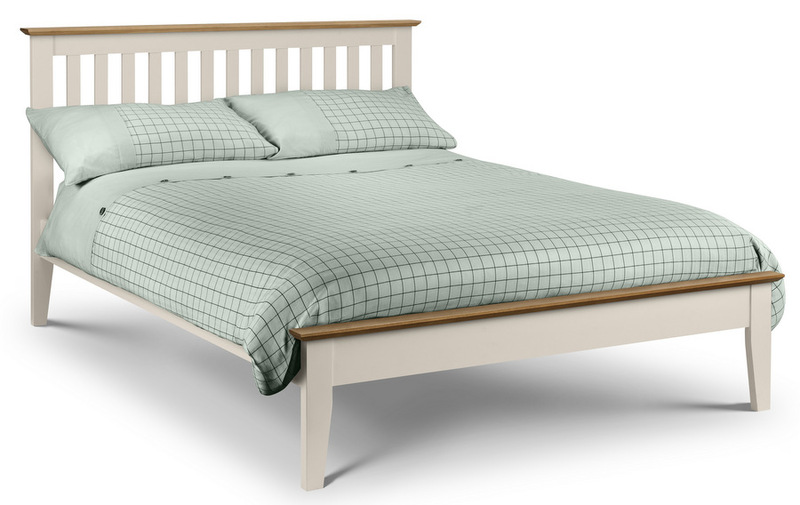 Sprung slatted base for extra comfort and additional mattress life. Constructed from solid American white oak and MDF with a sturdy build. Available as the bed frame only or with the Deluxe or Elite pocket 1000 mattresses. Deluxe semi orthopaedic : 13.5 gauge Bonnell spring unit, rod edge supports, 900 gsm spring insulator pad, 600 gsm polyester filling. Quilted Belgium damask cover. Quilted boarder with air vents. 23 cm deep. Elite pocket 1000: 1000 pocket sprung unit. Hand tufted. 1000 gsm spring insulator pad, 800 gsm polyester filling. Luxury damask quilted cover. Quilted boarder with air vents. 23 cm deep. Flat packed for easy home assembly. Easy to follow instructions included. Delivered by a two man team to a room of your choice, If the delivery team believe that damage to the product or premises, or injury to themselves or others, may occur whilst delivering to your chosen room they will leave the goods in a safe and convenient place. Delivered in two boxes plus plastic wrapped mattress if purchased. 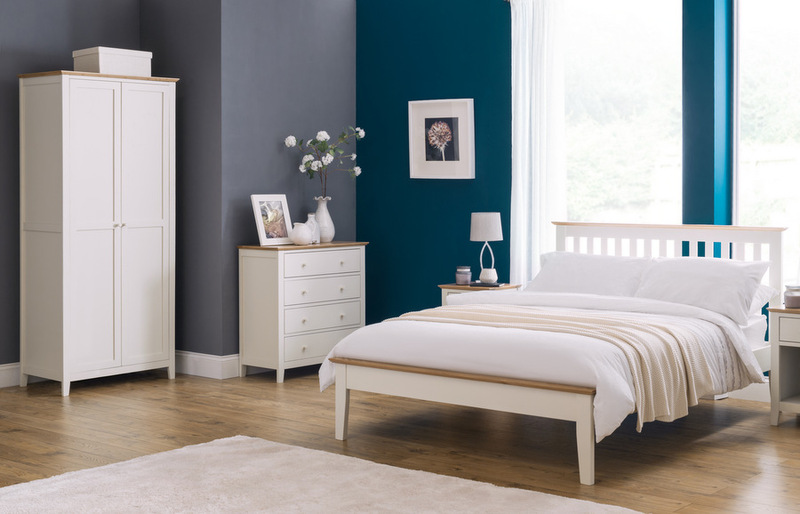 Part of our bedroom furniture collection.